Join our feminist reading room and supplement your digital fast with some feminist reading and conversation. Think: consciousness-raising feminist meeting from the 70s meets 2019 inclusive feminist library, minus phones, plus tea! Come browse feminist books, mags and zines from across the decades. BYOFP (bring your own feminist propaganda) and/or browse ours. 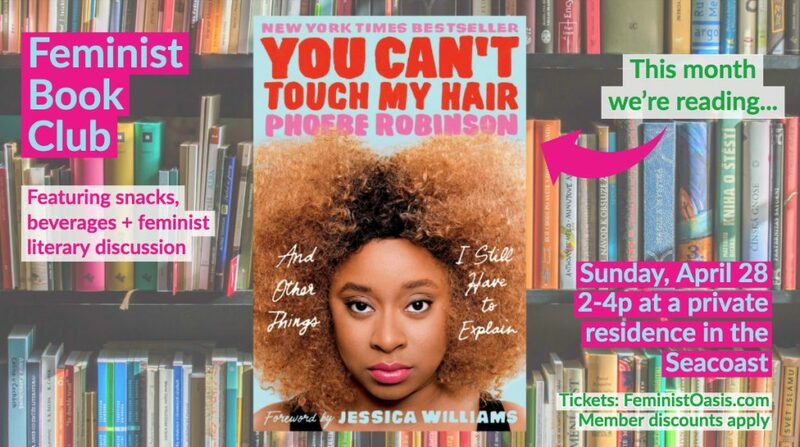 Order a bubble tea, chai or coffee and meet and chat with old and new feminist pals. Whether you’re a browse-and-chat-er, a silent-tea-sipping-read-er or somewhere in-between, this is the spot for you. 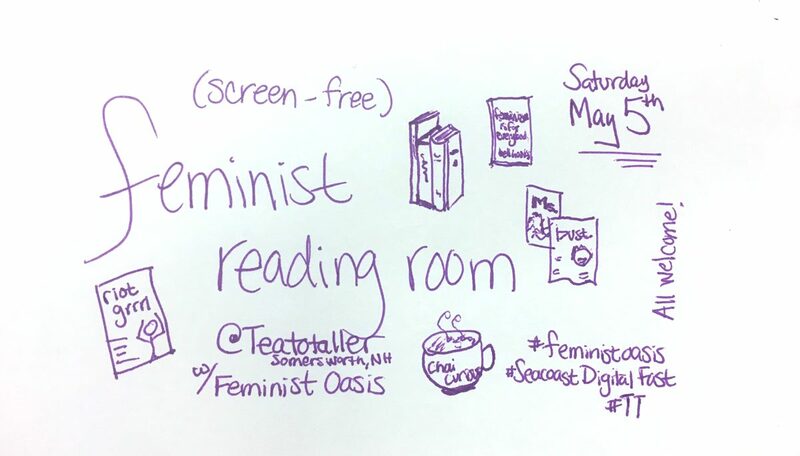 This is a collaboration between Feminist Oasis and Teatotaller, organized in conjunction with Seacoast Digital Fast. More on all of us below. Copyright © 2019 Feminist Oasis. All rights reserved.